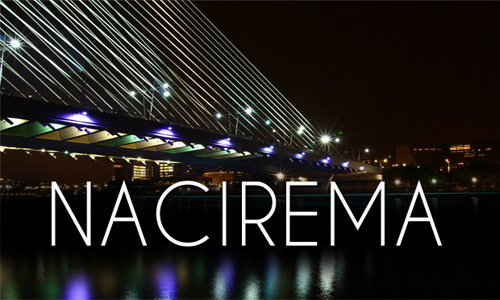 The official blog for Nacirema, a multimedia, theatrical performance and experience that will be presented as an “Artistic Blind Date” part of the Source Theatre Festival 2011. Developed and written by Tewodross Melchishua (Filmmaker/Visual Artist), Debbi Arseneaux (Theatre Director) and Martín Gendelman (Musician). It features performances by lead actor, Anne Egseth and Eric Plewinski (Actor/Musician). It also features additional performances by Mark Borden, Shannon Boyd, Shaunte Tabb and Jeorge Watson. Nacirema is about identity, fear, culture and control, set in an alternative society that is intent on maintaining all levels of control and thought. It is a visual folktale told from the perspective of a female artist, Namuha. Nacirema incorporates performance with music, visuals, and dance to weave a narrative that encourages the audience to not only participate, but to consider the reality of being a “citizen” and a member of the larger society. This project is kindly funded by a grant from the Creative Communities Fund through the Cultural Development Corporation.